Save 10% on Advanced Foot Energizer ⇒ Join newsletter for code. You’ve Found the Right Solution! With the Advanced Foot Energizer’s clinically proven combination of EMS and TENS technologies, you’ve found the path to ending your suffering. Using the Advanced Foot Energizer regularly will have a a dramatic effect on your feet and legs and anywhere else you have aches and pains. 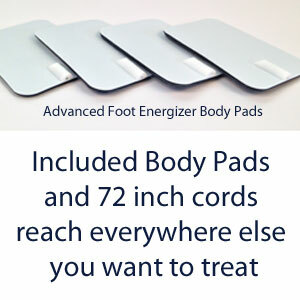 The Advanced Foot Energizer is one of the easiest tools to use available to renew the energy in your feet. Often we assume that technology must be monitored or utilized with supervision. This is as easy as slipping your feet into a pair of bedroom slippers and turning on your TV with a remote. The 25-minute timer even automatically shuts the energizer off for you! Relax at home or at work with a stimulating foot massage. Easily activate pressure points and zones. You will feel the muscles of your feet and lower legs gently pulse while the massage is taking place. Use the body pads to provide pain relief and muscle conditioning on other locations of your body such as your lower back, upper back, arms, shoulders. With 25 modes and 99 intensity levels, you can choose the most effective therapy for your individual needs. Save 10% today and get Free Shipping on either the Advanced Foot Energizer or the Platinum Package! We are so sure that you will enjoy the benefits of the energizer, we are offering our risk free, no-hassle, 60-day buy-back guarantee for the Advanced Foot Energizer EMS and TENS foot massager and stimulator to allow you ample time to test your investment in your health. It’s literally this simple: order a system today. If you are not completely satisfied with your Advanced Foot Energizer after 60 days of continuous use as instructed just let us know and we’ll promptly refund every penny of the purchase price. Do not use the Advanced Foot Energizer EMS and TENS foot stimulator massager and electrical muscle stimulator if you have a pacemaker; do not use on vital parts, such as carotid sinus nerves, across the chest, or across the brain; use caution during pregnancy, menstruation, and other particular conditions that may be affected by muscle contractions; potential adverse effects may include skin irritations and burns. Do not use if you are being treated for, or have the symptoms of, an existing Deep Vein Thrombosis (“DVT”). Please see further cautions in the user manual. * Free standard ground shipping & handling worth up to $30 for deliveries within the contiguous US only. Orders shipped by ground normally arrive in 2-3 business days to the east coast and 2 – 3 business days to the west coast. We warehouse in Tennessee, Utah, and Washington State and most orders ship by FedEx Ground or FedEx Home Delivery. Orders shipped to Canada ship from Washington State and will process through customs and may have duty added at the destination. The FDA approved Advanced Foot Energizer foot massager and stimulator is a portable and adapter powered multifunctional device, offering both Transcutaneous Electronic Nerve Stimulator (TENS) and Powered Muscle Stimulator (PMS) / Electrical Muscle Stimulator (EMS) qualities. The foot massager has 25 operation modes, which can give certain electrical pulses through 4 electrode pads placed on the skin to help users to enjoy body stimulation and 2 big electrode pads in Electrode Silicon Area for feet placed on the main unit to help users to enjoy sole stimulation, as well as providing a non-electrical rolling massage through a massage roller located between the two foot pads. The electronic stimulatory module has the operating elements of ON/OFF Switch, Display screen, Mode Selection key and Intensity Modification keys. The LCD display screen can show selected mode, output intensity of body and/or sole, and time remaining of an application mode. The device is equipped with accessories of electrode pads, electrode wire, adapter, remote controller. An electrode wire is used to connect the remote pads to the main unit; the adapter wire is used to connect the adapter to the device. The electrode pads comply with the biocompatibility standards ISO 10993-5 (Cytotoxicity) and ISO 10993-10 (Irritation and Sensitization), and are interchangeable. The Advanced Foot Energizer Foot Massager and Stimulator is for use as: Powered Electrical Muscle Stimulator (PMS, EMS) (Mode 1~8) EMS stimulates healthy muscles in order to improve and facilitate muscle performance by applying electrical muscle stimulation (EMS) to the soles of your feet. It does this through two large foot shaped pads along with infrared light. You will feel your foot and calf muscles being stimulated into contracting and then relaxing repeatedly – this activity helps pump blood through your legs. Experience pain relief and possible reduced swelling that may be associated with poor circulation. Transcutaneous Electronic Nerve Stimulator (TENS) (Mode 9~25) To be used for temporary relief of pain associated with sore and aching muscles in the shoulder, waist, back, back of the neck, arm, leg, and foot due to strain from exercise or normal household work activities by applying current to stimulate nerve. You'll find modes 9 through 25 are very effective at blocking pain. 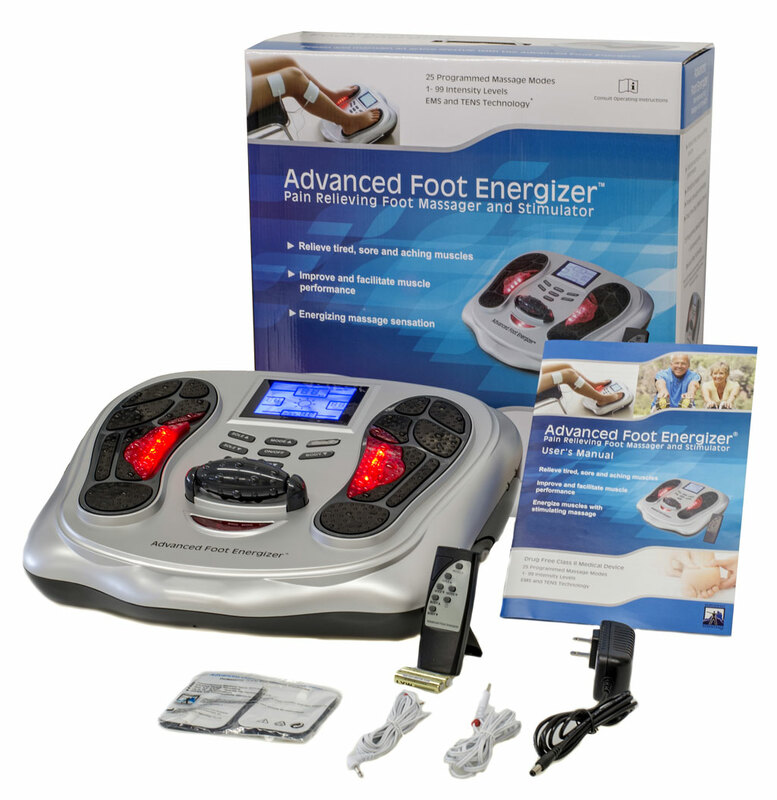 The Advanced Foot Energizer is distributed by Northwest Essentials, Inc. Located in Blaine, Washington State. Northwest Essentials warrants it to be free from defects in materials and workmanship during normal use by the original purchaser of the product for one year from the date of purchase. To receive repair or replacement, write to Northwest Essentials, Inc., 7074 Birch Bay Drive, Blaine, WA 98230, or email info@advancedfootenergizer.com to arrange for warranty service. Please note that repair or replacement is at the option of Northwest Essentials, Inc. and warranty may not include labor charges incurred in the replacement part(s) installation, repair of any such product, or shipping expenses. The warranty does not cover problems arising from the normal wear, product abuse, modification, failure to adhere to the accompanying instructions, improper operation, misuse, commercial use or the use other than for personal, family, or household purposes and excludes shipping and handling charges. This warranty does not extend to nondurable personal care products or nondurable components including rubber tips, grips, handles and other accessories. Northwest Essentials, Inc. shall not be liable for any consequential or incidental damages whatsoever. Some states do not allow the exclusion or limitation of incidental or consequential damages, so the above limitation of exclusion may not apply to you. 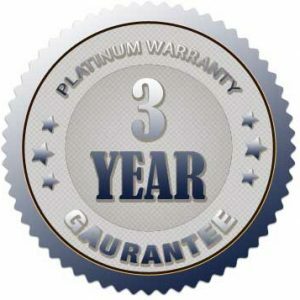 This warranty gives you specific legal rights and you may also have other rights, which vary from state to state or country to country. I did not know anything about this machine. I have suffered from diabete mellitus, hypertension and bilateral glaucoma (severe on right eye and moderate on left eye). Recently, dry skin peeling, some of my fingers on both hands are cracked and bleeding sores into the cold season. After using this machine twice a day mode 8, each time for 25 minutes and sole 50. Within a few days, I was very surprised to feel that my fingers and both hands are soft, no more dry skin peeling, no more cracked and bleeding sores especially we are now in the coldest times of the cold season in California. Presently, I am using this machine in the morning when I get up and in the evening before bed time. I highly recommend it for anyone who has the same problem like me because this machine produces a massage action helping to boost your circulation. I purchased the Advanced Foot Energizer to help with swelling and sore feet from standing all day. I started using right away and noticed much more comfort immediately. I would recommend this to anyone who has to be on their feet. I paid to use a similar machine at a Salon, after careful research online, I compared this machine and the other Machine’s Cost and Modes. Both my husband and myself decided to purchase this Machine for many reason’s, such as the different Modes that are on this Foot Energizer that clearly shows it is Advanced with 25 Modes verses the other had only 4 Modes, and I received all of the other Benefits below for approximately $100 less then the other Company wanted on Purchase price, 2 years longer on the Warranty. Have had this foot unit for about six months. One of the things I never saw in your advertising was the effect on foot and leg cramps. I have had bad foot and leg cramps for over two years, which involved several walking trips each night to make them stop. Two days after I started using this unit, they stopped. I have had one foot cramp in six months. I thought other people should know this hidden benefit!! Great product! I use it to smooth out the aches and pains in my feed and legs during my half marathon training. It takes the edge off and really does make a difference. Great to use while watching TV or reading. Highly recommend one of these! I teach kindergarten and am on the go all day. At the age of 58 my legs are less than happy by the end of the week. The foot energizer has been very helpful in relieving the tension and aches at the end of my often 9 hour days. This allows me to get a restful sleep and be ready for the next day. Great product! I purchased the advanced foot energizer the end of August in an attempt to reduce neuropathy in the front portion of my feet; my toes felt like sticks and was beginning to effect my balance, I had mentioned this to my doctor but he did not have any recommendations. Within two days I noticed a big improvement in the flexibility of my toes, today my neuropathy is all but gone. I used it on a daily basis the first couple of months and periodically thereafter. Based on my experience I would highly recommend this product especially with the guarantee of satisfaction you have nothing to loose! Thank you for developing this product it has given me a much better outlook for the future. Sincerely! Had my advanced foot energizer for 8 months with good results of my feet feeling better. Then the machine just quit. I contacted Advanced Foot Energizer by e-mail and got a response the very next day. After some test they ask me to run on the machine it was determined that in fact the machine had quit working. They immediately sent me another one without delay. Very very good company and services, Thank you Kevin.